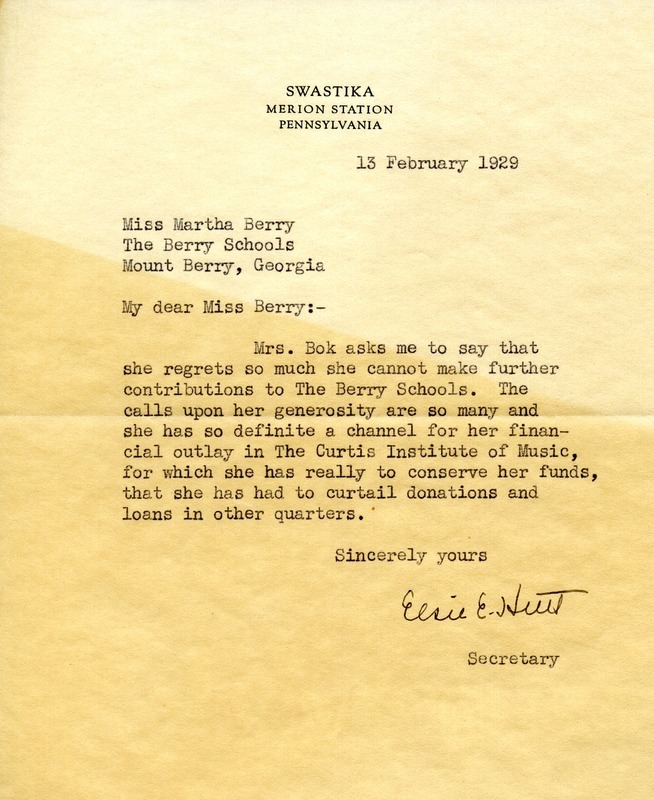 Ms. Hunt writes to say that Mrs. Bok will be unable to make further contributions to the Berry Schools. Elsie E. Hunt, “Letter to Martha Berry from Elsie Hunt.” Martha Berry Digital Archive. Eds. Schlitz, Stephanie A., Rachel Renaud, et al. Mount Berry: Berry College, 2012. accessed April 22, 2019, https://mbda.berry.edu/items/show/9578.